Surprise her with 12 stunning long stem red roses presented in a keepsake glass cylinder vase, packaged inside our large red gift box. 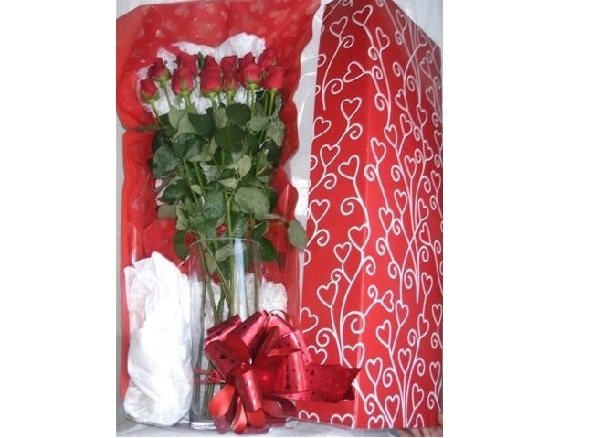 12 stunning long stem red roses presented in a keepsake 30cm glass vase, packaged inside our red gift box. Say "I love you" to the leading lady in your life.